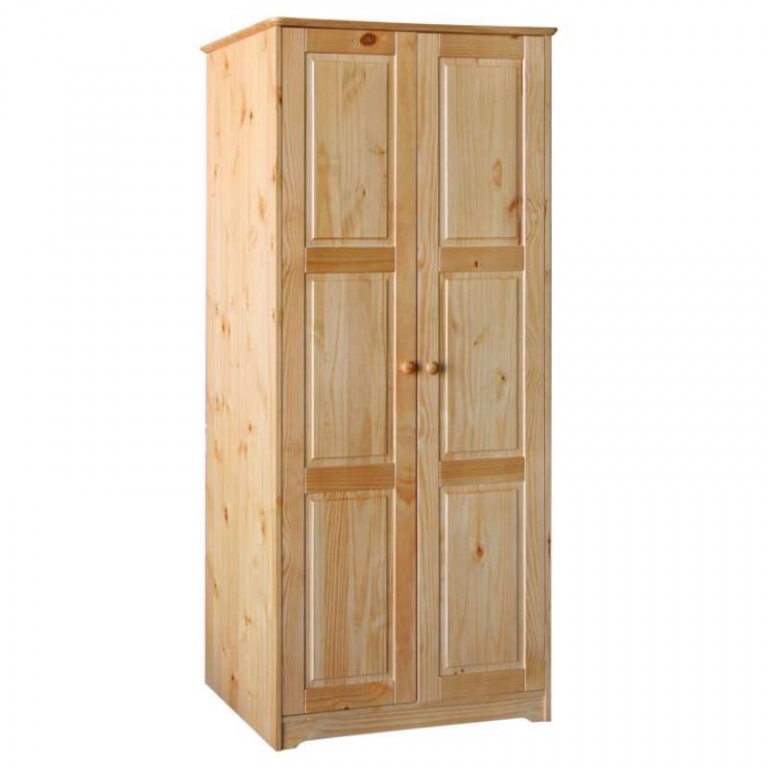 Wardrobe carcase: 16mm solid Pine with 3.8mm pine faced plywood back. Wardrobe assembly fittings: dome head screws, wood dowels, plastic backboard joining strip & panel pins. Internal components: 16mm solid pine shelf & 25mm solid pine hanging rail. 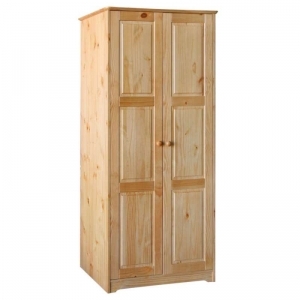 Wardrobe doors: 18mm door frame with 12mm raised and fielded panel insets. Door assembly fittings: 3 adjustable concealed hinges with fixings to each door.